In order to achieve success in binary options trading, you need to have a firm understanding of the terms and concepts frequently used in the industry. Without adequate knowledge of the words or phrases used in trading options, it will be very difficult for you or for any trader to enter this industry with ease. Most binary options brokers offer their own versions of a binary options glossary. This is where you’ll find all the terms used in trading binary options. With this helpful resource, we aim to give you a well-rounded idea on what this industry is and how it works. 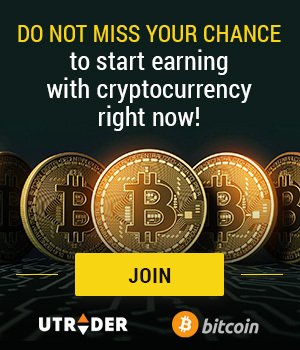 As we’ve mentioned earlier, you opt to have a full grasp of the nature of ZoomTrader binary options trading, its unique characteristics, and the basics of how to trade binary options. Though it doesn’t involve a step by step procedure on how to trade assets, it gives you the definitions of the words you may encounter when you enter this industry. A binary options glossary may contain information about trading concepts and some account-related terms. The contents differ from broker to broker, depending on what a certain broker thinks would be necessary for a trader to get familiar with. The concepts and terms are usually alphabetized to make it easier for you to find a specific word or phrase. Moreover, this allows you to connect different terms that are related to each other, and form a concrete perspective of what a word or phrase is all about. Some of the common terms you’ll find in a binary trading glossary include the “asset”, “in-the-money” or “out-of-the-money”, and “binary options” among others. Using our ZoomTrader binary options glossary, you can find the difference of various assets and some examples of each. Our intuitive trading platform provides you with the definitions of the common asset classes. These are the Currency Pairs, Indices, Stocks, and Commodities. You can learn about each of these asset classes and familiarize yourself with them. Once you get to know these various assets, you can gain more confidence in trading them. Moreover, you better interpret the movement of certain assets after sufficient research of these underlying assets. We also give you the various types of binary options available for you in our platform. You can find in our glossary the features that distinguish one binary option type form another. In fact, we have four binary options type that you can all try. These are the classic High/Low, One Touch, and Boundary trading types. We have the more advanced Short Term trade type as well. Aside from the ZoomTrader assets and binary options, you can also learn about our platform’s expiry rates and rules as well as bid prices. These concepts are very essential, especially to new traders. You can find our extensive binary options glossary in our website. It’s available for all of our traders to use. We keep it updated with the latest developments in binary options trading so that our traders will always get ahead of the game with their knowledge of what’s new in the industry.